This Lionhead is very attractful. She has a big wen, great head growth. 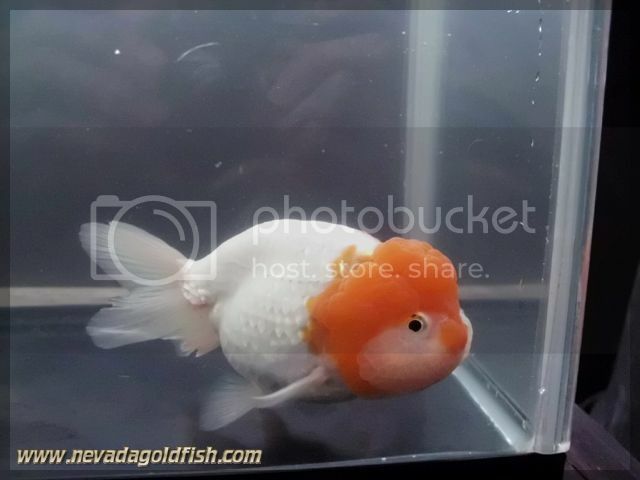 Besides Ranchu, super quality Lionhead also has funtans. 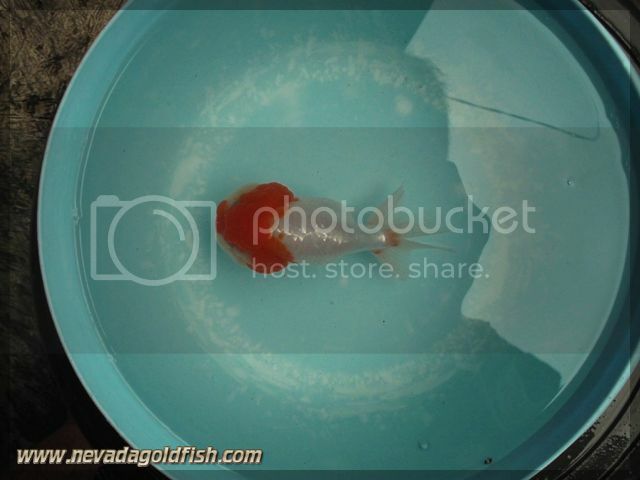 Plus she has a good coloration, white body and red head. 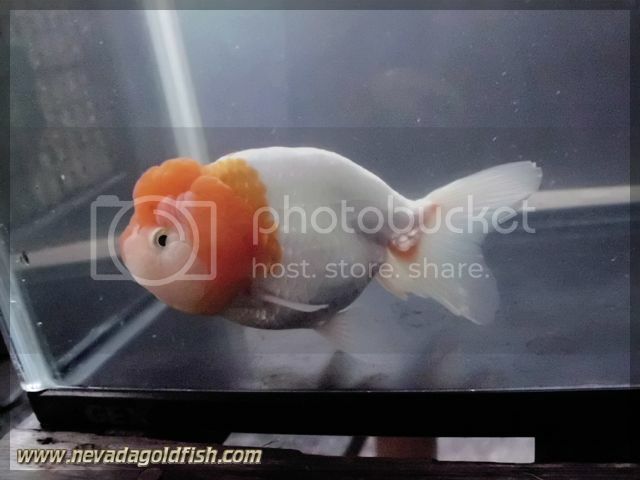 Really great potential of Lionhead Goldfish.